Kick off your visit on the 25th (Tue): hike along Bum La Pass and then contemplate in the serene atmosphere at Tawang Monastrey. 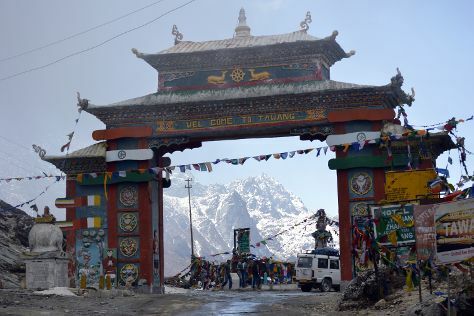 Get ready for a full day of sightseeing on the 26th (Wed): appreciate the history behind Tawang War Memorial, contemplate the waterfront views at Sela Pass, and then don't miss a visit to Urguelling Monastery. To find more things to do, other places to visit, photos, and other tourist information, read Tawang trip maker app . Aizawl to Tawang is an approximately 10.5-hour car ride. You can also fly. Wrap up your sightseeing by early afternoon on the 27th (Thu) to allow time for travel back home.